Mahendra Prag obtained his Bachelors in Engineering and Graduate Certificate in Program Management from Stevens Institute of Technology in Hoboken NJ. He relocated to the Capital Region in 2003 and has been working as an engineer and program manager. Mahendra's passion for real estate led him to obtaining his real estate license and certification as a Certified Buyer Representative. For over 10 years, Mahendra has used his real estate license to help friends and family sell or buy their home. 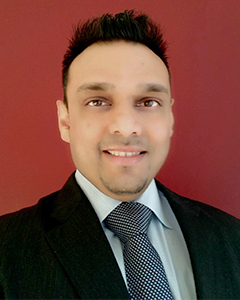 Mahendra has also completed commercial real estate transactions, residential rentals, and is experienced in property management. Let Mahendra use his experience, engineering, and program management skills to help you with all of your real estate needs.